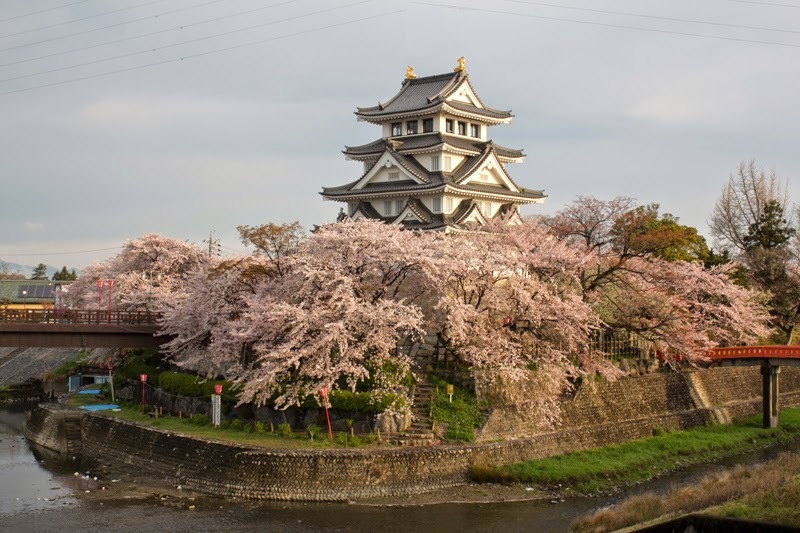 Sunomata castle (墨俣城) is located at the emerging point of Sakaigawa river and Saikawa river in Sunomata town. Due to the flood prevention works current site is apart from Nagara river and Kiso river, two large river of this area. 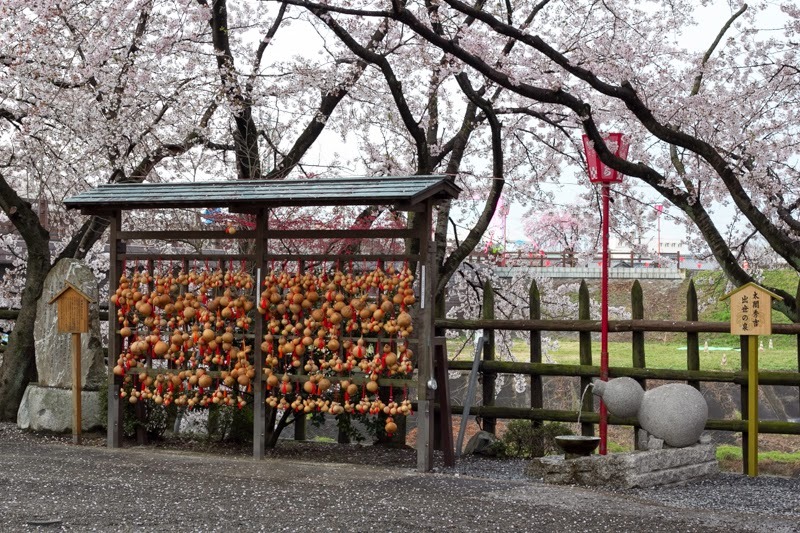 But in the Sengoku era, Sunomata was a joint place of main stream of Nagara river and Kiso river themselves, and an important point at the border of Mino country (Gifu prefecture). 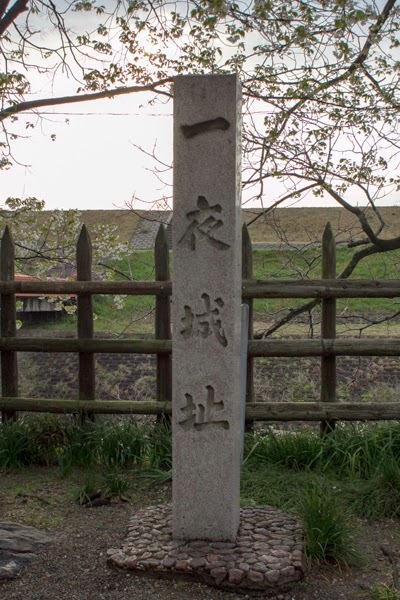 Placed at middle point of Gifu castle and Ogaki castle across the two large rivers, it was an important bridgehead for Owari country (Aichi prefecture) to attack Mino country. Sunomata castle was famous as "One day built castle" constructed by Hideyoshi Toyotomi (1537-1598), later became the ruler of Japan, but the truth was unclear. Hideyoshi was born as a son of pheasant or low class soldier, and there was almost no record in his young days until 1565, when he promoted to a general of Oda army and issued a letter. But this situation was not appropriate to write his story, thus biographers created many story about Hideyoshi in youth. For example, when Hideyoshi wandered and slept on the bridge crossing Yahagi river he met Masakatsu Hachisuka (1526-1586, famous as Koroku), a head of gang and who became a general of Hideyoshi later, or HIdeyoshi warmed straw sandal of his master Nobunaga Oda (1534-1582) in his bosom when he served as a valet of Nobunaga etc. 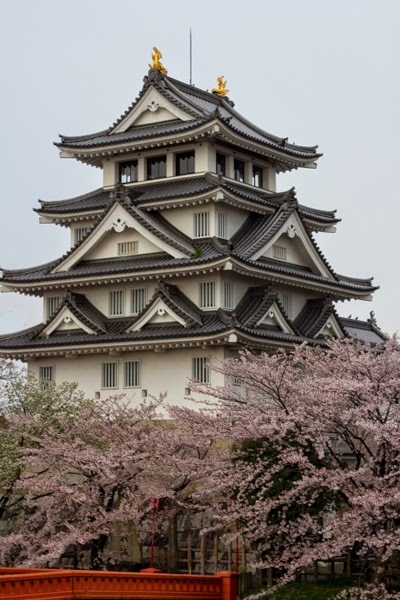 The story of Sunomata castle is thought to be one of these created tales. 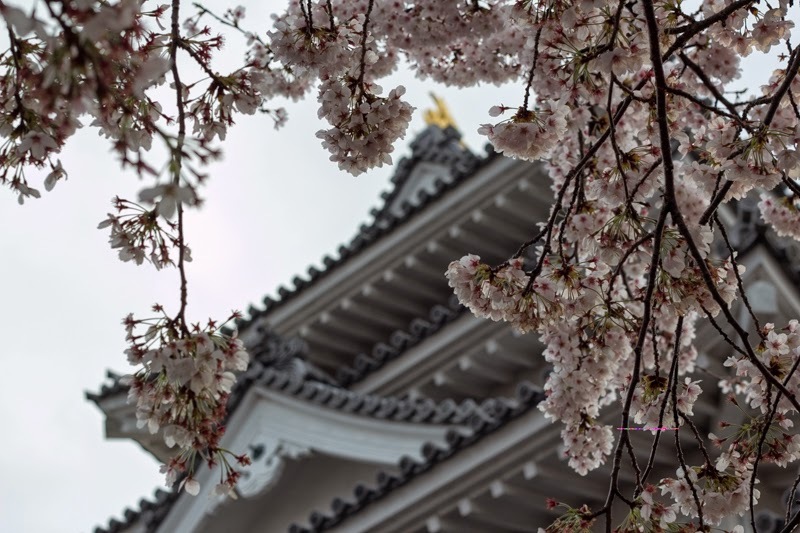 According to the tale, Nobunaga planned to conquer Saito clan in Mino country and planned to build a castle at the place of Sunomata as a bridgehead, but due to the disturbance from Saito clan, many generals of Oda clan failed it. Hideyoshi at that time was a lower retainer but applied this project, and asked for a help to Masakatsu who governed river transpoters around Kiso river. 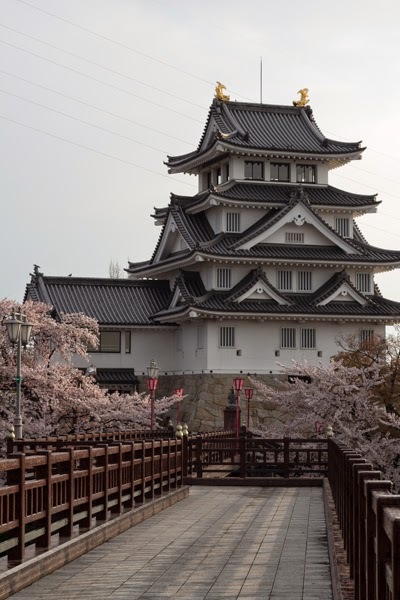 Hideyoshi and Masakatsu prepared parts of buildings in advance at the upper stream of Kiso river, and one night they flew these parts using the river and brought to Sunomata, and quickly built the castle like current style of prefabricate construction. Using this castle Nobunaga gave pressure to Mino country, and finally conqured Inabayama castle, the residence of Saito clan. The credibility of this story was low, but considering geographical importance of this place, there might be a castle used by Oda clan. Now the circumstance of castle has totally changed and there was no ruin of the castle, but the site of the castle is used as a park and an imitation of main tower (Sunomata castle was merely a fort and did not have main tower exactly) was built as a symbol of the town.